Stanfa-Stanley’s zany exploits serve as a reminder of how rewarding it is to push your self-imposed limitations. Major midlife changes often drive folks to new hobbies, travel, or volunteering. Or maybe to buying a convertible. Not so for Sherry Stanfa-Stanley, who challenged herself with a year of unusual adventures and new experiences. The Ohioan’s 52/52 Project began as an outline, then became a blog, and is now a collection of her year-long exploits entitled Finding my Badass Self: A Year of Truths and Dares. Stanfa-Stanley’s sometimes poignant, always humorous accounts cover a wide range of new situations: she crashes a wedding, undergoes past-life regression, scarfs down bugs, rides shotgun in a stock-car race, and tries her hand at zookeeping. Sometimes these experiences don’t seem terribly outrageous, but the sheer number of dares, and the fact that she does not shy away from situations that make her greatly uncomfortable, make this an inspiring journey. In all cases, the author is honest about her foibles and fears as she reflects about how each new encounter tested her boundaries and pushed her to grow, learn, or empathize with someone else. The book is refreshing, a thoughtful analysis of how to live life more fully, “taking part and tapping into something new.” Even her eye-rolling twentyish sons seem to swap out their initial mortification for a degree of amused respect by the end of the book. 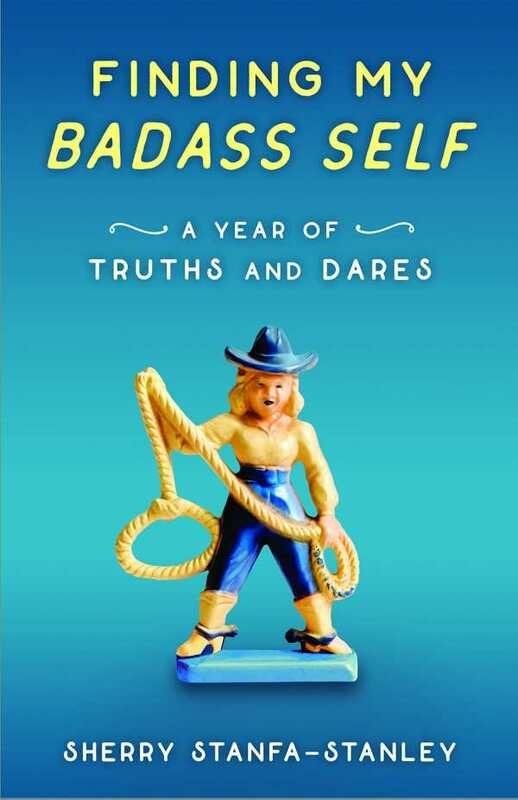 Finding my Badass Self is like a cozy catch-up chat with a zany friend. Stanfa-Stanley’s writing is conversational, peppered with juicy encounters, honest insights, and lots of laughs. Most would be hard-pressed to duplicate her energetic and courageous Badass Year, but it is encouraging to have her reminder about how rewarding it can be to push one’s self-imposed limitations.